on every supported device, anytime and anywhere. or choose the best plan for you! Stream to all your devices, from any Cloud Service. Synchronize and provision your media collection on every supported device, ready for streaming. Create smart playlist with files from different sources. Developer? We provide API for maximum fun. Enjoy your collection, regardless where is stored. Unified Library™ synchronizes your media collection stored on different platforms. Your PC, Dropbox, SkyDrive, Google Drive, Box, and others. We are always at work to support the best cloud services. A safe home for all your media files, wherever you are. Let your media collection follow you. Even when it's stored on your home computer. Custom, smart playlists and offline content. 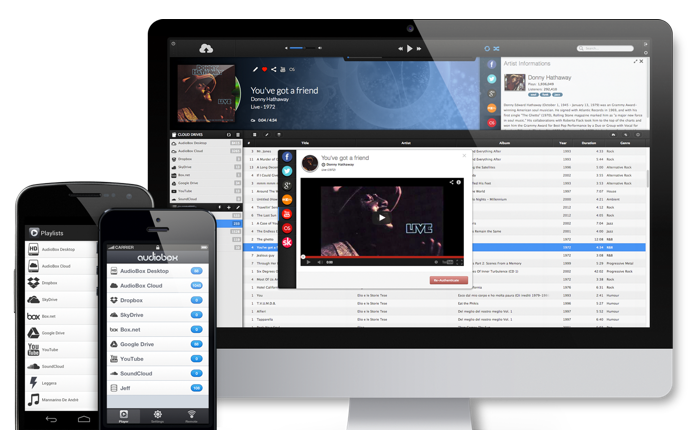 Easily organize your media collection and create your favourite playlists. Keep streaming on your mobile even when you are offline. Unified Library™ synchronizes data stored on your favorite platform, such as Dropbox, SkyDrive, Google Drive, Box and more. Let your social network know what you're listening, sharing information via Last.fm, Twitter, Facebook, Twitch.TV, Google+. The easiest way to enjoy your media collection, anytime and anywhere. 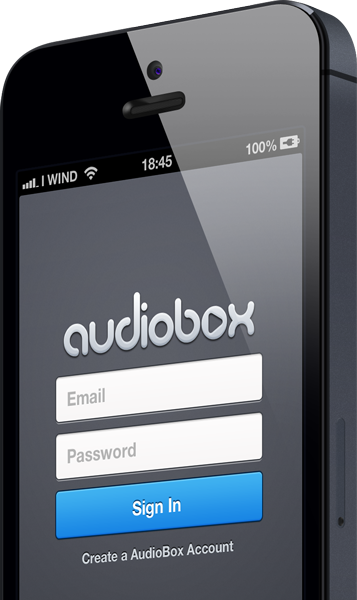 AudioBox™ by iCoreTech is the most advanced media platform in the Cloud, and the safest home for your media collection. Not convinced yet? Get Started to find out more.